On this day in 1979, OPEC raised the price of crude oil by 9 percent from $13.34 to $14.55. The Dow finished the day at 854.82. The S&P 500 finished at 101.04. Today, the Dow is trading at 23,533.20 and the S&P 500 is trading at 2,588.26. In 1979, the Entertainment and Sports Programming Network, ESPN, launched, becoming the first cable sports network dedicated exclusively to sports. The Three Mile Island Nuclear Generating Station in Dauphin County, Pennsylvania experienced a partial meltdown, the worst U.S. nuclear accident in history. The average cost of a new house was $58,100. OPEC raised the price of crude oil by 9 percent in March 1979, one of the first in a series of events that would lead to a spike in global crude prices and U.S. inflation. The Iranian Revolution decreased the global oil supply by about 4 percent in 1979, and OPEC took advantage of the opportunity to apply their pricing power. 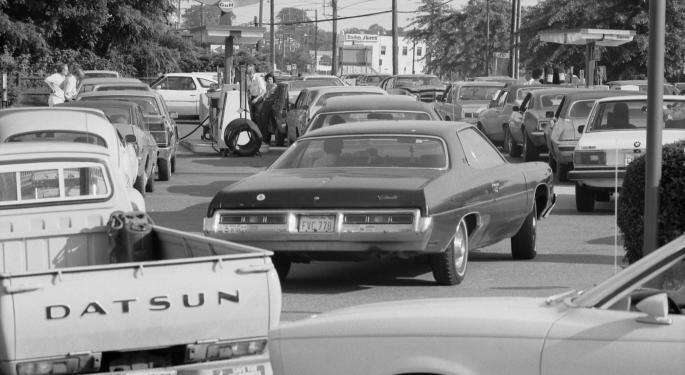 Over a 12-month stretch starting in early 1979, the price of oil in the U.S. skyrocketed from $15.85 to $39.50, triggering panic among U.S. drivers who remembered the horrible shortages that occurred in 1973. Annual U.S. inflation in 1979 was a staggering 11.2 percent, and interest rates were 15.2 percent at the close of the year. Oil prices eventually peaked in 1980 and began a slow decline over the next 20 years. 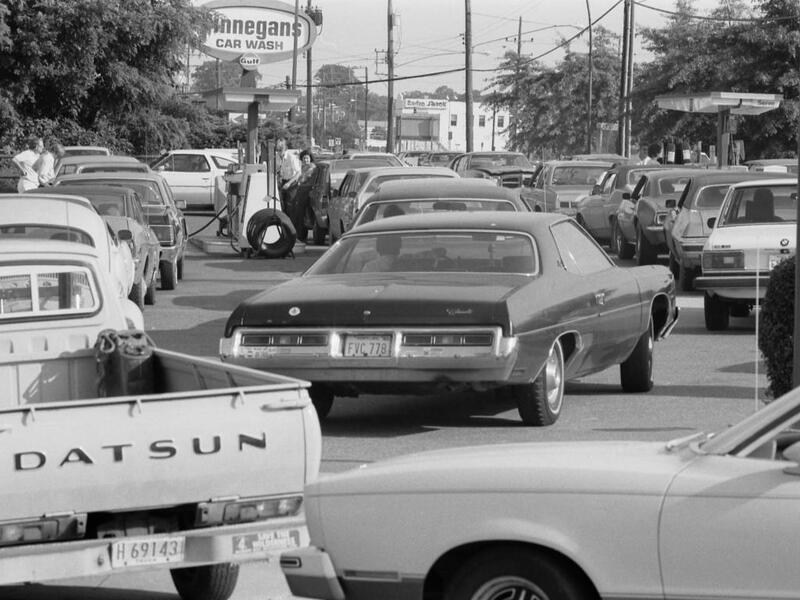 Image credit: Automobiles lining up for fuel at a service station in Maryland, June 1979.